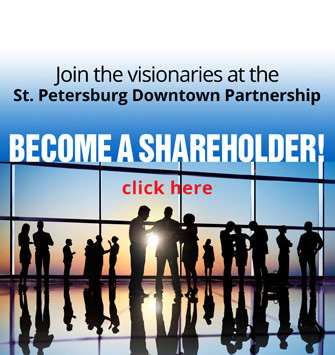 St. Petersburg Downtown Partnership, Inc.
For over five decades, the St. Petersburg Downtown Partnership has played a major role in the transformation of downtown St. Petersburg – investing in the arts, scientific research, higher education, retail, hospitality, medical facilities, sports, entertainment and development. Welcome to our online community, where you can network with members, stay up-to-date with the latest news, learn about upcoming events and much more! We invite you to register now to enjoy all the benefits of membership. Website design by Dowling & Weldon, Inc.